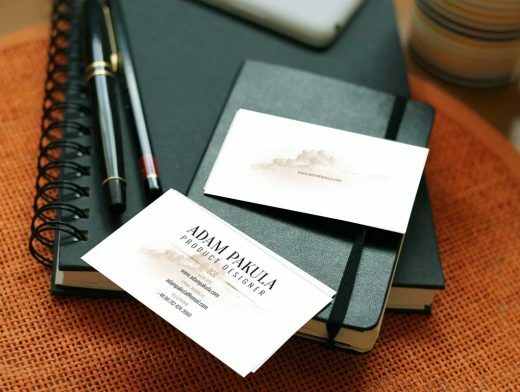 This freebie is a business card mockup with a unique design concept. You can add your own details such as company name, logo and address with just a few clicks. The package comes with a PSD file with preserved layers.